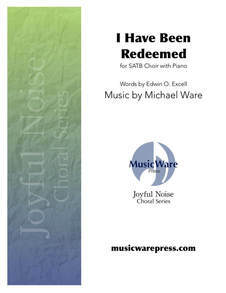 One of our most celebrated hymns is given a fresh treatment in this driving song of faith. Alive with a Celtic-inspired spirit, the piece practically sings itself! The surprise inclusion of another “grace” hymn in the body of the work will add a delightful twist to this attractive choral offering. Everyone, no matter the worship style, can embrace the hopeful message found in this instant classic! **NOTE JW Pepper's description says that the violin part is included in the octavo; it is not.